It is easy to bring an accusation against others, claiming that they have taught something or do teach something which is contrary to scripture. Misrepresenting someones position concerning what they believe and teach seems quite common in our society today. This is nothing new however, and will continue till Christ comes. 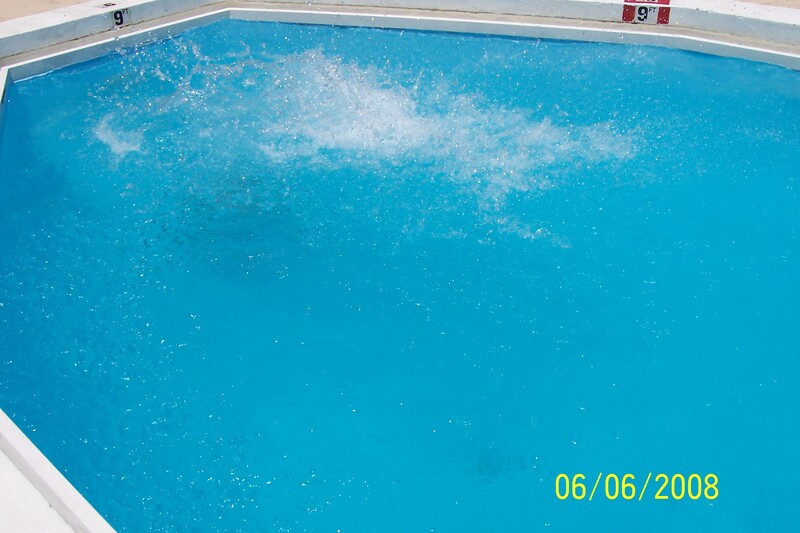 Nevertheless, it is one thing to accuse someone of something, but is quite another thing to prove that accusation. In this article I want to show that the charge brought against what I have written is a false charge and lacks any proof backing it up. Therefore, I am writing this response against the charge of ‘Replacement Theology’ brought against me by a blogger who blogs over at ‘The Return of Benjamin.’ The blogger uses the term ‘Supersessionism’ against me and then turns around and equates everything under that term to what I have written. Secondly, let us also begin by defining the term Supersessionism. Seeing that the word is not defined in many older theological dictionaries, shows that the term must be of recent origin. So I turned to Theopedia.com to define it. “1.Supersessionism is the traditional Christian belief that Christianity is the fulfillment of Biblical Judaism and therefore Jews who deny that Jesus is the Jewish Messiah fall short of their calling as God’s Chosen people. If the first definition is correct, then certainly the Bible itself teaches this view. Jesus himself taught this view, Mat 5:17 Think not that I am come to destroy the law, or the prophets: I am not come to destroy, but to fulfill. Also Paul stated that the things written in the Old Testament were for us, Rom 4:23-24 Now it was not written for his sake alone, that it was imputed to him; But for us also, to whom it shall be imputed, if we believe on him that raised up Jesus our Lord from the dead… Rom 15:4 For whatsoever things were written aforetime were written for our learning, that we through patience and comfort of the scriptures might have hope.1 Co 9:9-10 For it is written in the law of Moses, Thou shalt not muzzle the mouth of the ox that treadeth out the corn. Doth God take care for oxen? Or saith he it altogether for our sakes? For our sakes, no doubt, this is written: 1Co 10:11 Now all these things happened unto them for ensamples: and they are written for our admonition, upon whom the ends of the world are come. And Peter proclaims that the things that the Old Testament Israelites ministered, they ministered unto us 1Pe 1:12 Unto whom it was revealed, that not unto themselves, but unto us they did minister the things, which are now reported unto you by them that have preached the gospel unto you with the Holy Ghost sent down from heaven; which things the angels desire to look into. These things were types and shadows, until Christ should come, of whom is the realty of what the entire Old Testament pointed. I shall later show that the modern day Rabbis use the same hermeneutical principle that I use. Okay, this got my interest. I’ve debated subjects with those of a Covenant Theology persuasion before, but this is the first time that I’ve heard someone claim that Supersessionism (their preferred term) isn’t what they believe in. So what does the author believe? As I have shown above, the author at ‘The Return of Benjamin’ uses the radical definition of the term Supersessionism to read my article. He takes everything under that term and equates it with everything that I have had to say on this subject. He also uses the term Dispensationalism, over and against Supersessionism and equates everything under that heading with a single term. This is erroneous. He acts as if he can use either term, in the singular, and grasp every concept under that single term. This shows that he hasn’t understood either position. 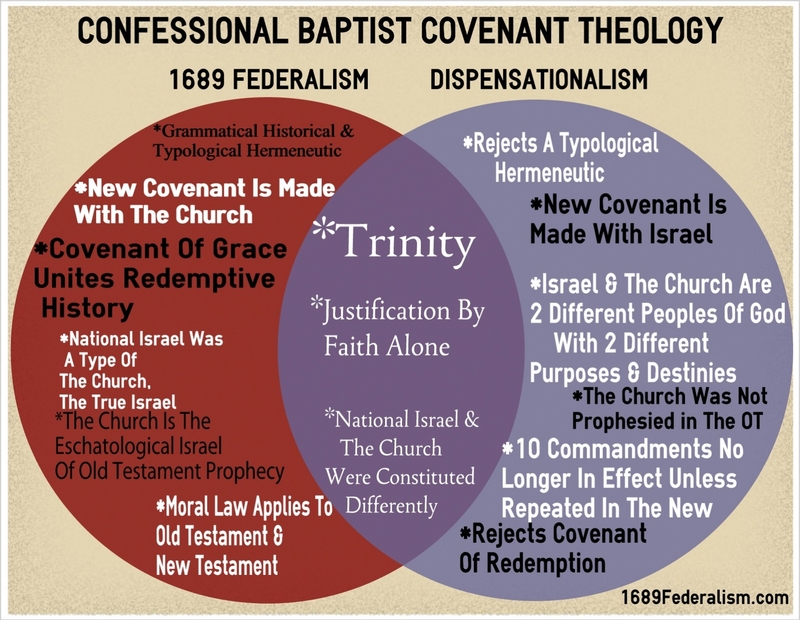 Just as the term Supersessionism has been modified and many branches have come off it, even so the term Dispensationalism has been modified and many branches have come off of it. If he would do his research, then he would find that the term Dispensationalism has undergone radical changes, so that today we have what is called the Progressive Dispensationalists. 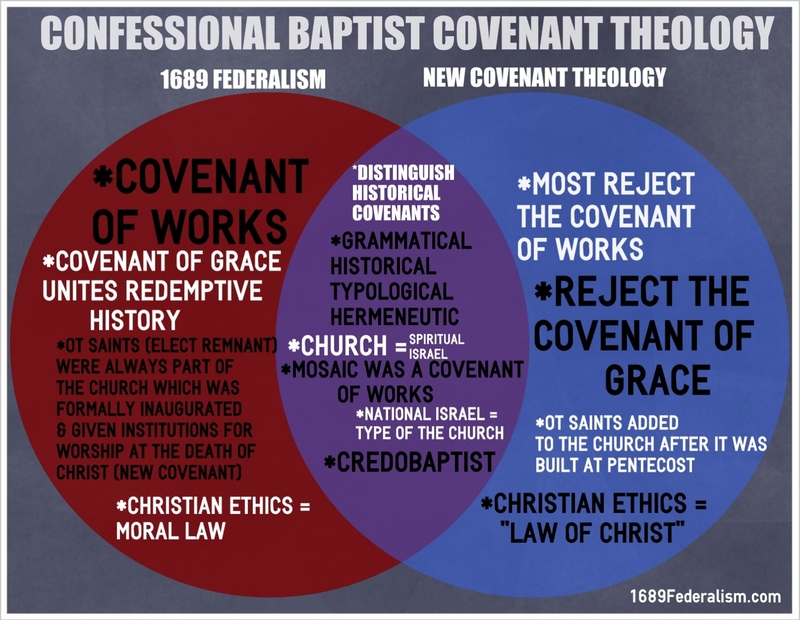 These ‘Progressives’ have moved toward covenant theology. Secondly, he states that Supersessionism is (their preferred term). By stating “their preferred term,” he means that it is our or my preferred term. However, you would think that someone who is writing a book would have at least given a few names of scholars and theologians who prefer this term. I have within my own library over 20,000 books, essays, and articles from a Covenantal Reformed perspective and none of these books, essays, or articles contain that word. I also have within my own personal library over 20,000 mp3’s from Covenantal Reformed Seminaries, Churches, and Conferences around the world. I carry four mp3 players with me everyday and listen to these mp3’s all day long and none of these speakers use this term. So whose preferred term is it anyway? I would say that it is the preferred term of the author at ‘The Return of Benjamin’ who understands neither Supersessionism, nor Dispensationalism. Finally, the author at the blog ‘The Return of Benjamin’ stated: this is the first time that I’ve heard someone claim that Supersessionism (their preferred term) isn’t what they believe in. Yet I didn’t even use that word in my entire original post that he was writing against. I was writing against the radical form of the word Supersessionism. So his accusation falls short because he can’t prove his accusation, seeing that the term Supersessionism was never used in my article. 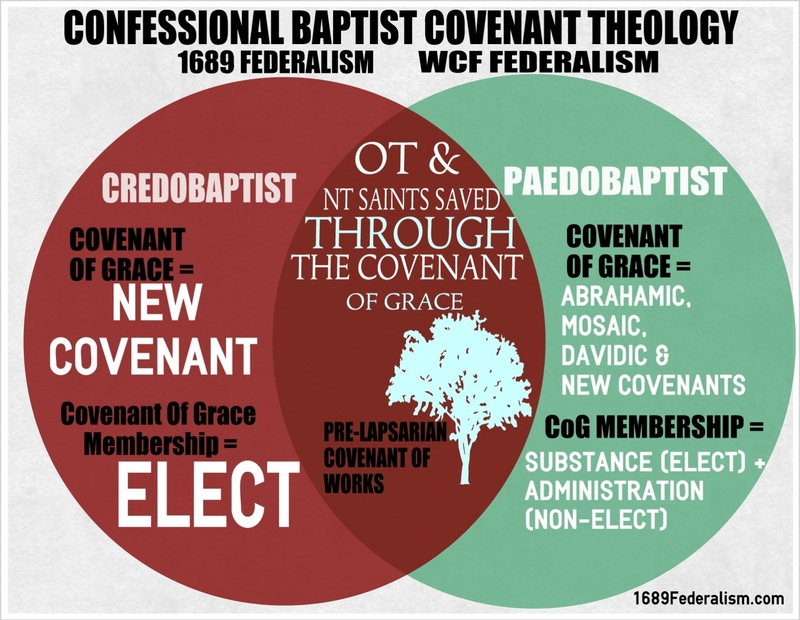 At first I found this interesting, since it bore some resemblance to my own Adoption Theology. Since part of my purpose in developing Adoption Theology was the hope of providing some middle ground between the extremes of Supersessionism and Dispensationalism, finding a similar theological thread in the Reform tradition would be exciting. The author of the post at ‘The Return of Benjamin’ hopes to find some middle ground between Supersessionism and Dispensationalism and this is why I state that the author doesn’t know either position. Little unbeknownst to him Dispensationalism has created that middle ground already. 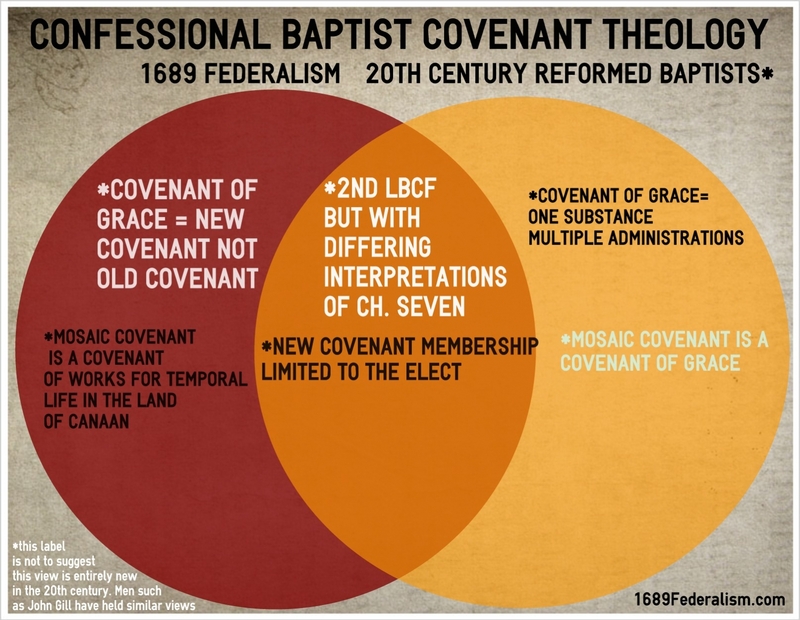 Today’s dispensationalists have moved towards the Reformed covenantal approach to scripture. The progressive dispensationalists have left some of what classical dispensationalism taught. In other words, if the author of ‘The Return of Benjamin’ has developed a new theology and can’t find anyone throughout church history who has touched on it, then maybe it is because that theological interpretation of scripture, doesn’t exist in scripture. This is one reason why Dispensationalism is erroneous. No one until Darby ever came to the conclusion, by reading scripture, that God had a separate plan for Israel and the Church. Of course, I can disprove Dispensationalism without ever appealing to this argument. It is possible that both Supersessionism (the first definition given) and Dispensationalism are both false. Yet it is impossible or against logic for them both to be true. So if Supersessionism is true (the first definition given), then Dispensationalism is false. If Dispensationalism is true, then Supersessionism is false. So if one is true and the other is false, then to develop a middle ground position would be an amalgamation of the two and it would also be false. Augustine and Pelagius debated concerning God’s grace and man’s ability. Augustine was right and Pelagius was wrong. However, a few years later Cassian tried to develop a middle position between the two. If Augustine was right, then both Pelagius and Cassian were wrong. Semi-Pelagianism is also erroneous. During the Reformation the Protestants held to Augustine’s position and the Roman Catholics held to Cassian’s position (some would argue that Rome held to Pelagius’ position) and so Arminius’ students sought middle ground. If Rome was wrong, then Arminianism is also wrong. Look at that key phrase: “God has cut off natural Israel.” All of it, apparently. Not a single thought given to the Messianic Jews who still identify with national Israel, as Paul did (Rom. 11:1). And to fulfill the promise, God has replaced, superseded, or, as the author puts it “engrafted Gentiles into Israel.” Now, we have no problem with the concept of “engrafting,” but there is a difference between grafting new branches onto a tree and replacing every single branch in the tree! One will enrich the tree, giving it a longer life, while the other will certainly kill it! The author at ‘The Return of Benjamin’ has missed the point. According to him he believes that natural Israel is going to be saved. If my opponent would use the hermeneutical principle known as analogia fide or the analogy of faith, then he would not fall into this error. Simply stated the analogy of faith means that scripture interprets scripture. If I can show several scriptures that plainly state that natural Jews, those who are non-elect will not be saved, then I have proven my point. Is there any scriptures that state this? Absolutely! Only those who have been converted are part of True Israel and those only have been and will be saved. The natural man receives not the things of God, neither can he know them. Non-elect Israelites were blinded and have been cut off. Just as non-elect Gentiles will not inherit the kingdom. The author of ‘The Return of Benjamin’ is more dispensational in his thinking over and against his new system of ‘Adoption Theology.’ He believes that genetic birth gives someone a right to God’s eternal kingdom. This is erroneous. The new birth is given only to those of whom God has chosen in Christ. Notice that Christ came to his own and they all did not receive him. Nevertheless, those who did receive him, he gave power to become the sons of God. John tells us plainly that there were some Israelites who received Christ. But notice verse 13. They did not receive him or were not born again by the Holy Spirit based upon blood (natural DNA or genetics), nor because they willed it, nor because man willed it, but because God did. My post never stated that God would replace every branch on the tree. This is why I stated that you argue as a dispensationalists. You only quote what you want to based upon your dispensational system. I know you claim to have developed some middle ground, but that claim is spurious to say the least. Had you not held to dispensational tendencies then you would have also quoted what I said here. A quote from my article: So Hosea is told that natural, unbelieving Israel is cut off, nevertheless the faithful in Israel will still be part of Israel according to Paul in Romans 9. Not a single thought given to the Messianic Jews who still identify with national Israel, as Paul did (Rom. 11:1). So my article, that you were writing against, did not contain one single thought that was given to the Messianic Jews who still identify with national Israel. Humbug! Poppycock! Your dispensational views only blinded you to what you wanted to see. Those messianic Jews that have come to faith would be willing to forsake their identification with today’s Israel if they were reading their Bibles. As I shall later show, the Judaism in existence today within the nation Israel, is nothing more than Babylonian occultism. Did any Messianic Jews stand around and identify themselves with the Israel of their day when it was leveled to the ground? No! All the Christians, both Jews and Gentiles fled when Rome seized the city of Jerusalem. They all remembered the prophecy given by Christ, wherein he told them: Mt 24: 15-16 When ye therefore shall see the abomination of desolation, spoken of by Daniel the prophet, stand in the holy place, (whoso readeth, let him understand:) Then let them which be in Judaea flee into the mountains…..Not a Christian one was killed in this event. At no time does Paul say that the Gentiles become Israel, meaning the Jewish people, but rather that they are “citizens” of Israel the same way that he himself was a citizen of Rome. They are children of Abraham by adoption through Yeshua, yes, but Ishmael, Esau, and the children of Keturah were all children of Abraham–and yet none of them were Israel. Again, my friend, you do not know the scriptures nor the power of God. If I can show one single verse that states that anyone who is circumcised in the heart is a Jew and show that those who have faith in Christ are Abraham’s seed, then your argument collapses. But remember, I stated that no doctrine should be developed upon any one single scripture. So I will use several. So if a Gentile is regenerated by the Holy Spirit and keeps the righteousness of the law, then his circumcision in the heart is counted as circumcision, even though he isn’t circumcised in the flesh. He is also a True Jew. A true Jew has been brought into the kingdom by the Holy Spirit and the circumcision of the heart. This includes Israelites and Gentiles. Paul told the Gentiles at Galatia that they were Abraham’s seed and they were heirs according to the promise. Natural lineage does not make someone an heir to the Abrahamic promises, but fulfilling the conditions of the covenant did. Jesus is the True Israelite and the only heir to all the Abrahamic promises. Can I prove this? Yes I can. The promises were not made to ‘seeds’ plural, but to one ‘seed’, singular. The promises were made to Jesus Christ, the greatest of all Abraham’s descendants and the only one worthy to inherit the promises because he fulfilled all the conditional aspects of the covenant. Therefore anyone in Christ is a co-heir of those promises. Secondly, I want to point out that your arguments are weak. You state: At no time does Paul say that the Gentiles become Israel, meaning the Jewish people, but rather that they are “citizens” of Israel the same way that he himself was a citizen of Rome. I would like to state that your dispensationalism is showing again because this is a weak argument in the fact that, even though Paul was not a natural Roman by Genetics, nevertheless he was a Roman. I have a neighbor who married a woman from the Philippines. She had to obtain citizenship to come to this country. She got her green card and now she can be called an American. She didn’t have to be born here to be an American. Thirdly, you state: They are children of Abraham by adoption through Yeshua, yes, but Ishmael, Esau, and the children of Keturah were all children of Abraham–and yet none of them were Israel. Paul even quotes Hosea, the same passage of scripture on which my original article was based. Finally, here are several scriptures showing that redeemed Gentiles are, not only citizens, but Israelites. True Israel is contrasted with natural Israel. They are not all Israel (fleshly), which are of Israel (spiritual). Neither are they Abraham’s children just because they were of his natural seed. You see in my article I stated that God cut off natural Israel and you accuse me of ‘Replacement Theology’. Yet Paul states that those which are the children of the flesh (natural Israel) ARE NOT THE CHILDREN OF GOD. I guess Paul held to Supersessionism also. Stay tuned for my next article: Replacement Theology 3: Who is not Israel according to Christ and the Apostles? (1) Of course, we interpret within the context of the paragraph, chapter, and book the scripture we are examining is found. But also the entire scope of special revelation has to be kept in mind while forming doctrines. (2) I would contend that the author at “The Return of Benjamin’ doesn’t hold to some new system of theology that he has developed. But instead, holds to dispensationalism. It is prevalent within his own thinking. In Romans 4:11-18, we have a remarkable example of apostolic reasoning from two short passages in Genesis, wherein God made promise unto Abraham that he should be a father of many nations (17:5) and that in his seed should all the nations of the earth be blessed (22:18). Since these assurances were given to the patriarch simply as a believer, before the Divine appointment of circumcision, Paul drew the logical conclusion that they pertained to Jews and Gentiles alike, providing they believed as he did and thereby had imputed to them the righteousness of Christ, that the good of those promises belonged unto all who “walk in the steps of his faith.” Therein we are plainly taught that the “seed” of blessing mentioned in those ancient prophecies was essentially of a spiritual kind (cf. Galatians 3:7-9; 14:29), including all the members of the household of faith, wherever they be found. As Stifler pertinently remarked, “Abraham is called father neither in a physical sense nor a spiritual: he is father in that he is head of the faith clan, and so the normal type.” In Romans 9:6-13, the apostle was equally express in excluding from the good of those promises the merely natural descendants of Abraham. Romans 10:5-9, supplies a striking illustration of this principle in the way that the apostle “opened” Deuteronomy 30:11-14. His design was to draw off the Jews from regarding obedience to the Law as necessary unto justification (Romans 10:2, 3). He did so by producing an argument from the writings of Moses, wherein a distinction was drawn between the righteousness of the Law and the righteousness of faith. The Jews had rejected Christ because He came not to them in the way of their carnal expectations, and therefore refused the grace tendered by Him. They considered the Messiah was far off, when in fact He was “nigh” them. There was no need, then, for them to ascend to heaven, for Christ had come down from thence; nor to descend into the deep, for He had risen from the dead. The apostle was not merely accommodating to his purpose the language of Deuteronomy 30, but showing its evangelical drift. As Manton said, “The whole of that chapter is a sermon of evangelical repentance” (see vv. 1, 2). It obviously looked forward to a time after Christ’s ascension when Israel would be dispersed among the nations, so that the words of Moses there were strictly applicable to this Gospel dispensation. The substance of verses 11-14 is that the knowledge of God’s will is freely accessible, so that none are required to do the impossible. 2. The second principle which the expositor must make a most careful study of is that of scriptural quotation. Not a little help in ascertaining the right laws of interpretation may be obtained from diligently observing the manner in which and the purpose for which the Old Testament is cited in the New. There can be little room for doubt that the record which the Holy Spirit has supplied of the way in which our Lord and His apostles understood and applied the Old Testament was as much designed to throw light generally on how the Old Testament is to be used by us as it was to furnish instruction on the particular points for the sake of which passages in the Law or the prophets were more immediately appealed to. By examining closely the words quoted and the sense given to them in the New Testament, we shall not only be delivered from a slavish literalism, but be better enabled to perceive the fullness of God’s words and the varied application which may be legitimately made of them. A wide, but generally neglected, field is open for exploration, but instead of endeavoring here to make a thorough canvass of the same, we shall simply supply a few illustrations.